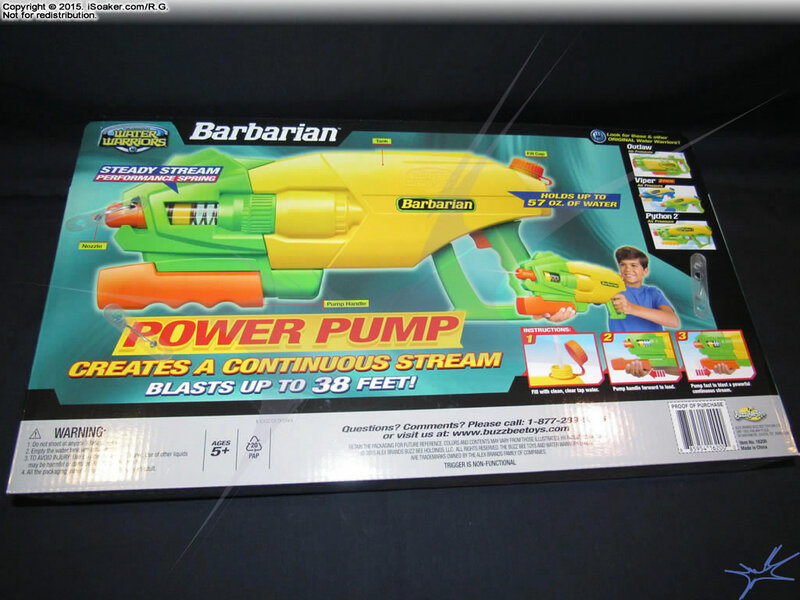 The Water Warriors Barbarian is a new spring-enhanced pump-action water blaster by Alex Brands Buzz Bee Toys Holdings for 2016. the Barbarian appears to be a redesign of the Water Warriors Steady Stream (2007) with no trigger and a spring-based water pressure capacitor visible through a clear window near the water blaster's front. As its nozzle size is average and technology well-known, the Barbarian has not gone under additional testing yet as its performance is expected to be equivalent to the Steady Stream. However, because it is a new design (unlike the Water Warriors Steady Stream (2012) that merely had its reservoir truncated), we are leaning towards doing more in-depth testing when time permits. 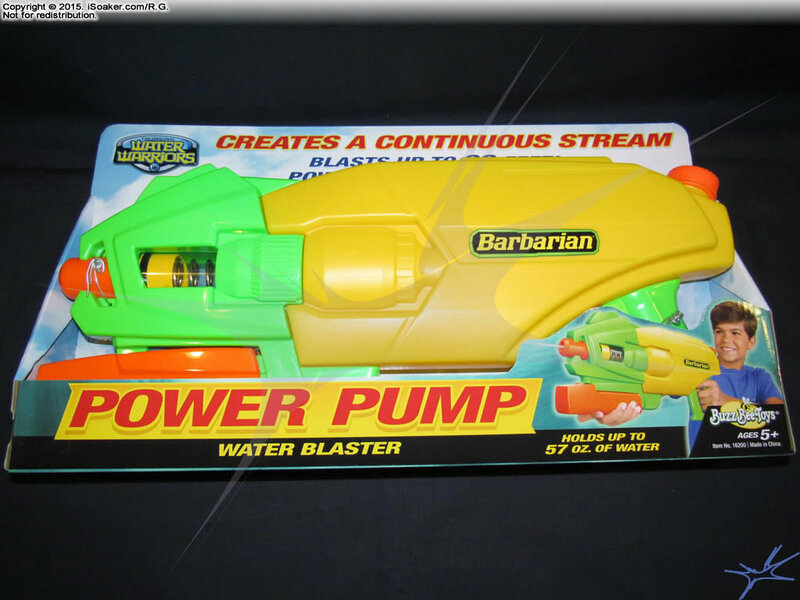 Featuring pump-action operation that permits the creation of a continuous stream, the Water Warriors Barbarian should perform well in small-to-medium skirmishes and even keep pace with similarly-sized pressurized water blasters. Of course, since one needs to continually pump to maintain the stream, one's aiming precision is reduced.